Accusations from the US Department of Justice indicting that "Chinese intelligence officers" lead a five-year operation to steal intellectual property related to jet engines used in commercial airliners are irresponsible and part of a strategy to pressure China, experts said on Wednesday. The charge by the US Department of Justice was also slammed by Chinese Foreign Ministry. Ministry spokesperson Lu Kang dismissed the US charge at Wednesday's routine press conference as "sheer fiction and completely fabricated." The US department indicted on Tuesday 10 Chinese nationals, including several people the department claims are intelligence officers who hacked computers and stole design plans for turbo fans used to power jet engines. Wang Ya'nan, chief editor of Beijing-based Aerospace Knowledge magazine, said the accusations don't make sense, as data from other engines cannot be applied to China's domestically built aircraft. "Even if you have the data from another product, it's very unlikely you can use it on your own," Wang noted. The development of an aircraft engine is defined by many parameters, including design requirements and user demands, so this makes the development environment very different for each aircraft and engine, Wang said. The US Department of Justice's statement on its website accuses Chinese intelligence officers and their recruited hackers and insiders of conspiring to steal sensitive commercial aviation and technological data from US companies and several companies in other countries. The US department said that "Chinese intelligence officers Zha Rong and Chai Meng led hackers on theft operations involving a turbofan engine used in US and European commercial airliners from at least January 2010 to May 2015." The statement does not mention if the "Chinese intelligence officers" or others named in the 21-page indictment have been served with the indictment or even questioned. CNN said on Wednesday that if they are in China, the Chinese government is unlikely to give them up as the US does not have an extradition treaty with China. The indictment presents no hard evidence and the statement is a long narrative outlining perceived misdeeds, said Chinese experts. The US Justice Department statement said that the Chinese intelligence officers and their team of hackers used a range of techniques, including installing malware in company computer systems, domain hijacking and co-opting company employees. "The US needs to present concrete evidence" if the charges are to be believed, Wang said. This is not the first time this year the US has accused Chinese intelligence officers of undertaking "intelligence activities." On October 10, the Justice Department charged "Chinese spy" Xu Yajun with economic espionage after he was arrested in Belgium in April and extradited to the US on October 9. Chinese Foreign Ministry spokesperson Lu said on October 11 the charges were "purely fabricated." The US has carried out sophisticated espionage operations in China, intelligence experts say. Washington-based magazine Foreign Policy reported on August 15 that the CIA had botched the communication system it used to interact with its sources in China and Chinese authorities were able to "systematically dismantle" the CIA's network of agents across the country. "It was considered one of the CIA's worst failures in decades," the report said. China has neither confirmed nor denied the activities described in the Foreign Policy report. 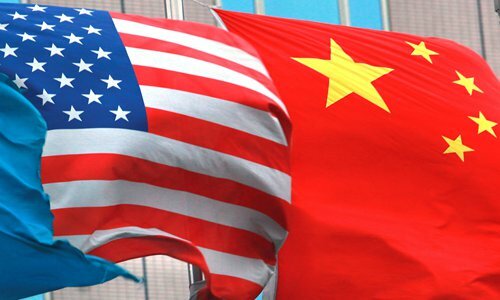 Ni Feng, deputy director of the Institute of American Studies under the Chinese Academy of Social Sciences, said on Wednesday that the US' move is closely related to its perception of China, which has been classified by the Trump administration as a long-term strategic competitor. All US departments will begin to adopt this tactic, and accusing China of clandestine activities is part of an overarching strategy, Ni said. Assistant Attorney General for National Security John C. Demers said in the statement on Tuesday that the US will redouble efforts to safeguard its ingenuity and investment. "This is just the beginning," Demers said. "The US is trying to create hostile sentiments so people in the US will support the US-initiated trade war and as a means to pressure China," Ni told the Global Times, noting that China needs to be prepared for more of these accusations.